Contemporary wave design pattern. 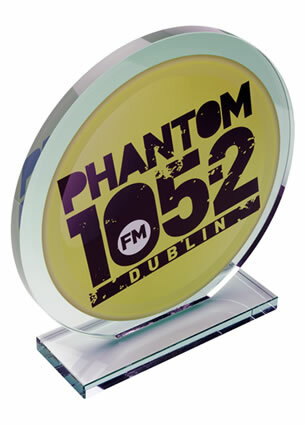 Ideal personalised as a commemorative award or gift, offered with professional laser etched engraving options for text and/or logos. Colour print option. Optional deluxe presentation box available. 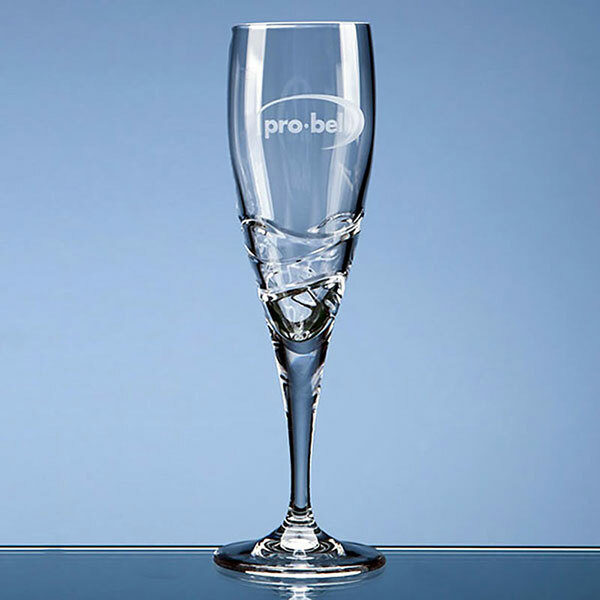 These stylish champagne flutes feature contemporary wave design styling cut into the clear glass around the base of the body. 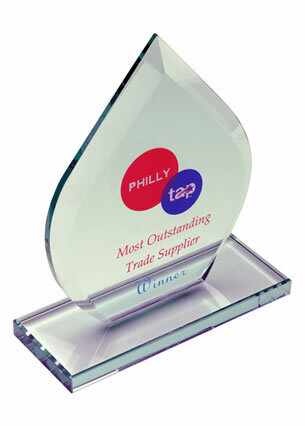 They have an elegant shape while the lead crystal glass provides a sturdy vessel. 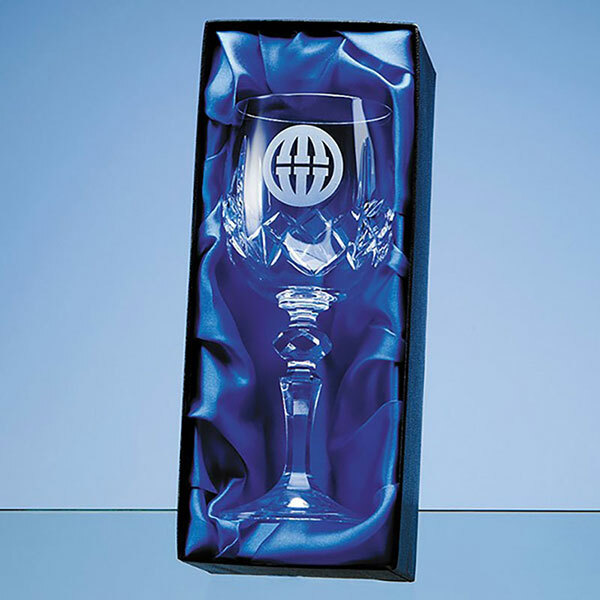 The clear lead crystal glass body of the flute is ideal engraved as a personalised gift, commemorative award or as corporate merchandise. 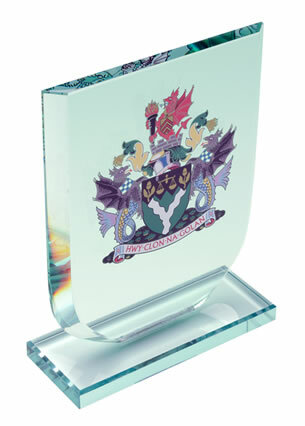 We offer low, fixed-cost laser etched text engraving for your entire inscription, and free engraving of logos and crests. These lead crystal champagne flutes are offered with an optional satin lined, fitted presentation box.